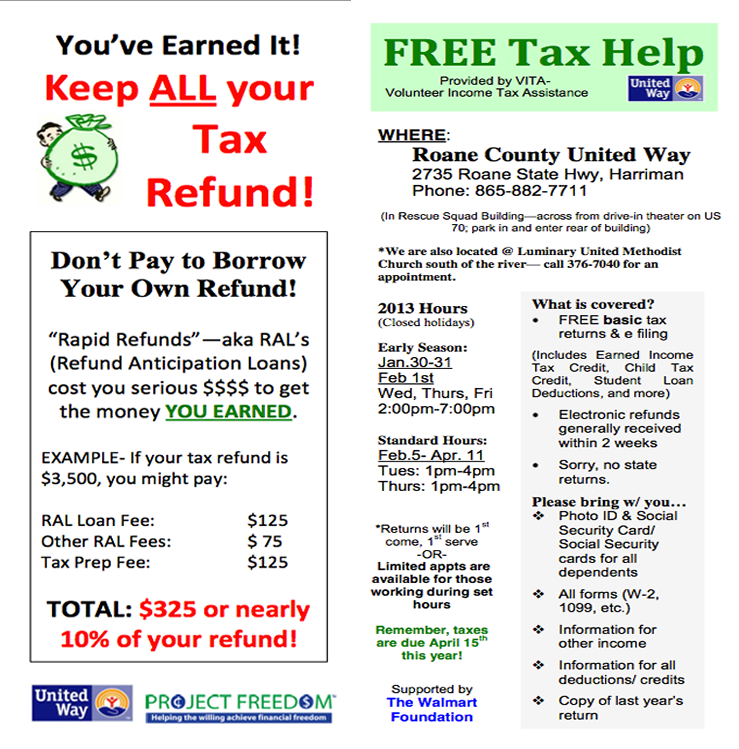 Financial Classes – Upon request, Roane County United Way can arrange to host financial education classes at your site. Past topics have included the following: basic budgeting, credit counseling and more. Call 865-882-7711 and ask for the Project Freedom Coordinator. Funds are awarded to agencies for services. Funds are to supplement emergency food and shelter programs operating in the four-county area. Agencies will be able to provide food, shelter and rent/mortgage/utility assistance on a one-time basis to individuals. Demonstrated ability to deliver services.